Danny is the second founder of New Vision Projects. This amazingly talented tradesman can tear down your house, build you a new one, fix your car, build you some heavy duty mining equipment, and have a smile on his face the whole time. He has an amazing ability to solve problems and get the job done right. Throw superb project management skills and a passion for detail onto the resume, as well. 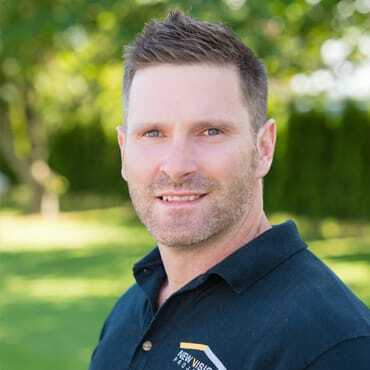 With a background of commercial and residential construction, Danny brings to the table the qualities that all construction companies wish they had. Growing up, Danny was a quick learner and was able to teach himself almost everything he knows. His natural talent and drive is what motivated Danny to branch out and start his own company. “I remember working for other companies and thinking I can do this better. I can do this the way it should be done,” says Christian. After consulting with long-time and like-minded friend Brandon Smith, there was no doubt that New Vision Projects Inc. was going to a great success.